Here at Elevate it is all about you and taking your winery tour experience to another level. We specialise in private winery tours of all occasions for groups up to 11 people. Sit back and relax while you’re guided through the beautiful surrounds of the Mornington Peninsula wine region in Victoria. 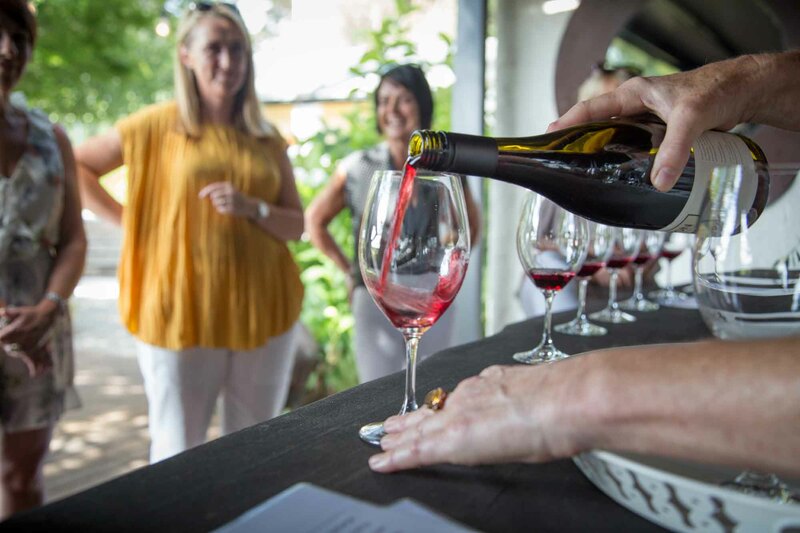 Enjoy a Mornington Peninsula winery tour where you’ll visit some of Victoria’s best wineries. In addition to wine tours you can also choose from craft breweries, bespoke distilleries, strawberry farms, artisan cheese makers, hand crafted chocolate makers and more. The Mornington Peninsula wine region is only a short drive away from the city, taking just 60 minutes from Melbourne CBD. Located in the south east part of Victoria and set between two bays – Port Phillip Bay and Western Port Bay. We cover all the Mornington Peninsula winery region including suburbs such as: Mornington, Mount Eliza, Dromana, Tuerong, Moorooduc, Balnarring, Red Hill, Main Ridge, Merricks, Shoreham, Rosebud, Fingal, Arthurs Seat and more. 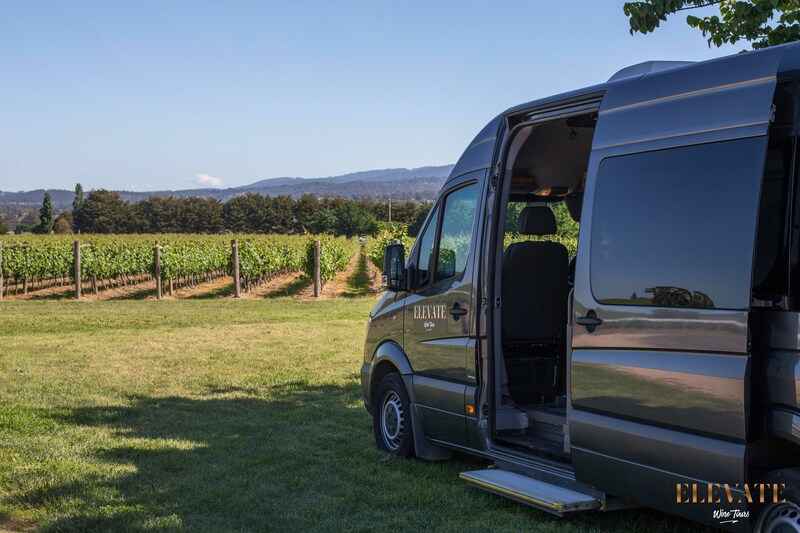 Tour the wine region in our all new spacious Mercedes-Benz vehicle that has been specially equipped for your comfort, style and safety. Free Wifi – Stay connected while on tour and take advantage of our free onboard wifi. 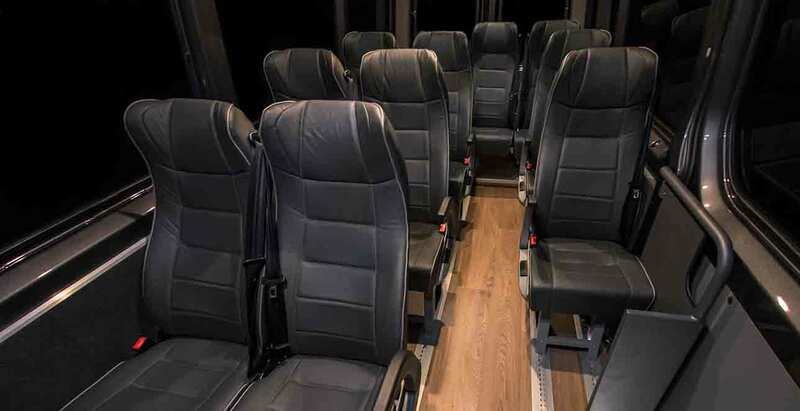 Reclining seats – Amazingly comfortable seats and ample leg room to ensure you stay completely relaxed. Refrigerator – perfect to keep either your wine, cheese or any other perishables chilled for the journey. 15” screen with DVD and USB inputs – perfect for music DVDs, movies etc. USB charging ports – great to keep your devices charged so that you don’t miss that important call, social media posts or any of the amazing photo opportunities to be had. Refreshments – We’ll keep you cool and hydrated with onboard complimentary water. Chilled and ambient! Book a Mornington Peninsula Wine Tour today!